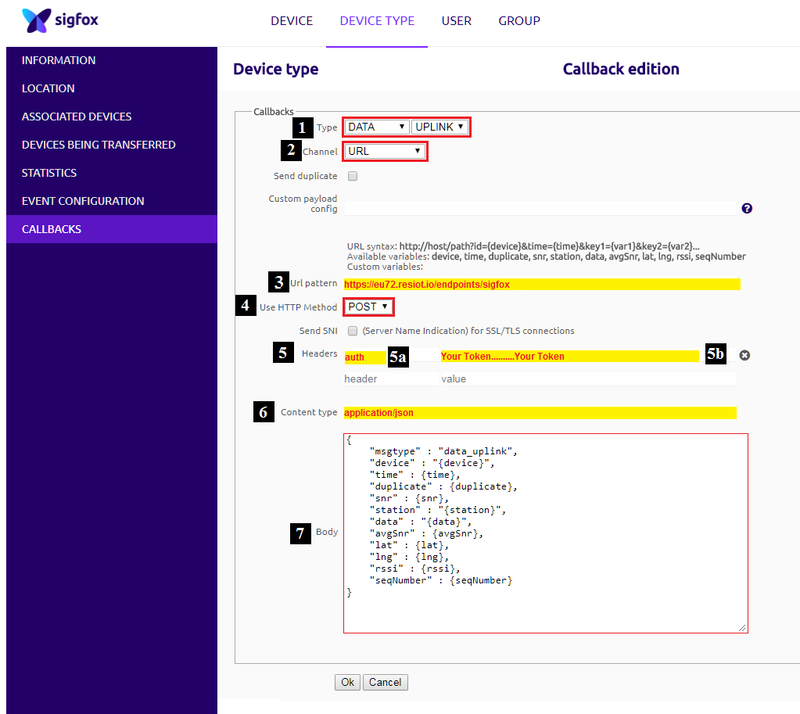 To add a Sigfox Node to our platform, you need to go to the Sigfox Backend portal, select your device from the list and go to the callbacks page. To configure the Sigfox node you'll need the Token provided by ResIOT and the Url Pattern. Once you get your token and url you can configure your Sigfox Node. If you are in trouble, consult the image that explain step by step the various passages.